Elko Speedway is happy to announce that we have acquired Raceway Parks “Track Cars.” These Track Cars are available for immediate use at Elko Speedway. 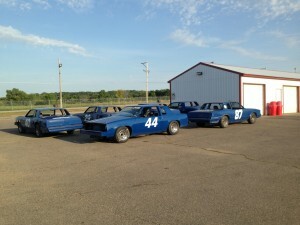 We will run an exhibition race to welcome this new fleet of cars at this upcoming Eve of Destruction on September 7, 2013.
race at the Midwest’s center for speed, Elko Speedway! birthday party at Elko Speedway and enjoy what racing has to offer. and make it a night to remember!